Minister of Tourism Ali Waheed has visited Taj Exotica Resort and Spa to perceive the damages caused by a fire. The incident in Taj Exotica Resort and Spa caused damage to 5 over-water villas. 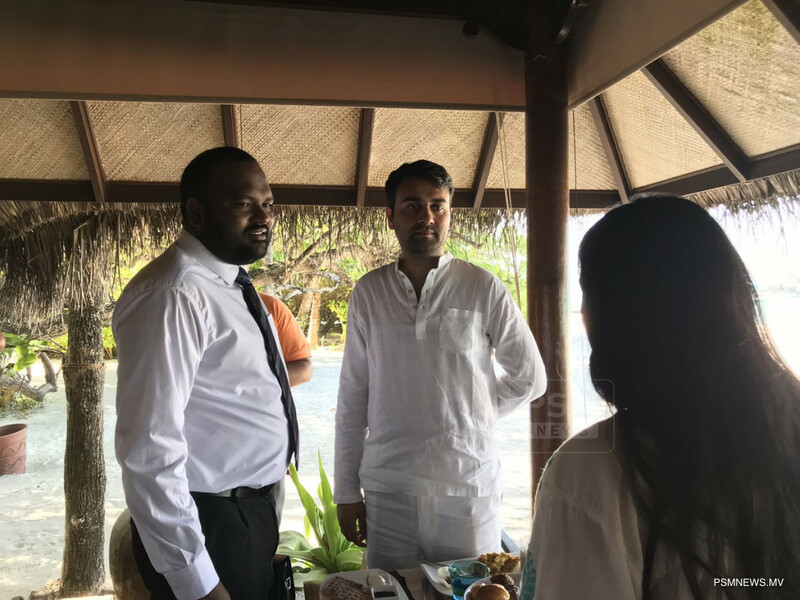 During the visit, Tourism Minister Ali Waheed met with the management of Taj Exotica Resort and Spa and ensured the assistance from the government following the incident. Moreover, the minister also met with the guests who were staying in the room where the incident happened, and assured support. The fire which broke about 0500 hours was brought under control in about an hour, according to Maldives National Defence Force (MNDF). 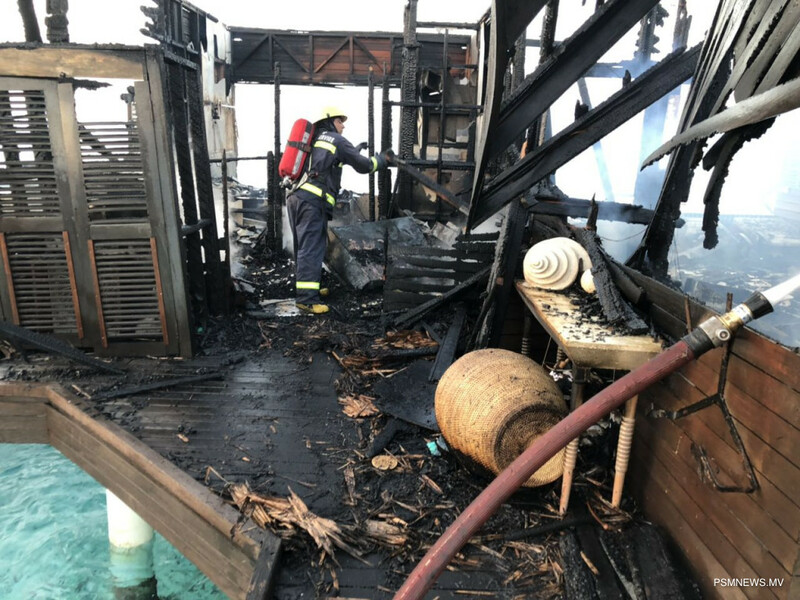 The fire which originated at one of the villas was controlled without any casualties, although the room was still occupied when the fire occurred. MNDF said the fire was controlled with the assistance from the fire safety team of Taj Exotica Resort and Spa. On January 2, a fire incident at Gili Lankanfushi Maldives destroyed a large part of the eco-friendly resort. 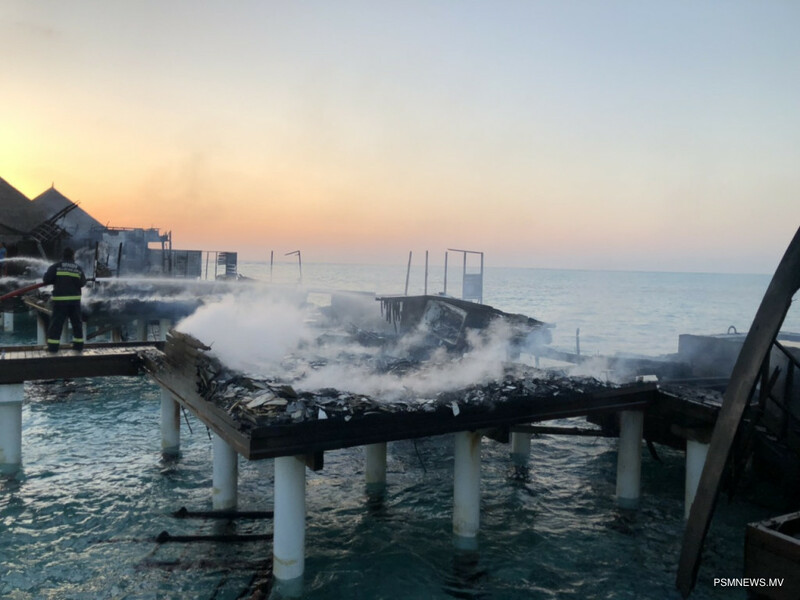 The fire completely destroyed seven water villas, the kitchen and the restaurant of the resort. Moreover, another fire incident was reported on January 12 from Reethi Beach Resort. 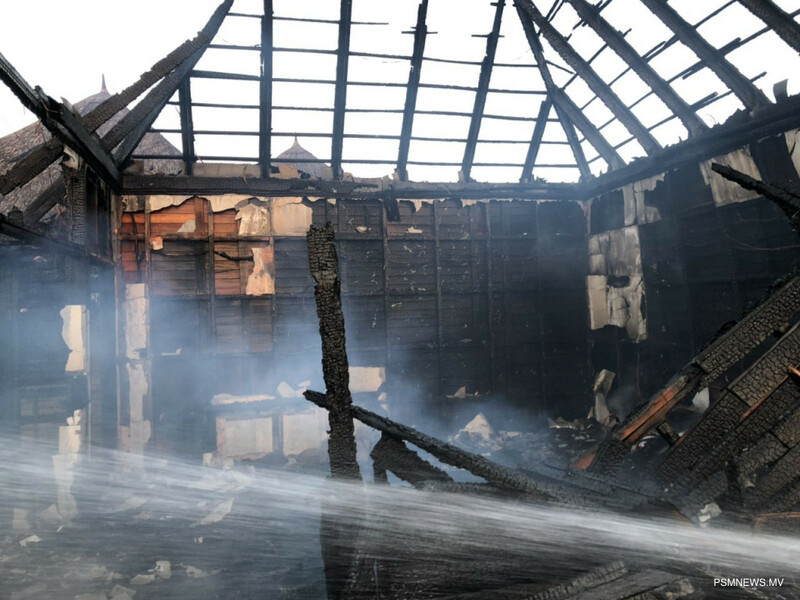 The fire incident destroyed two godowns inside the powerhouse. Tourism ministry has commenced inspection of tourism related establishments to ensure no further unfavourable incidents occur in the largest income generating industry in Maldives.